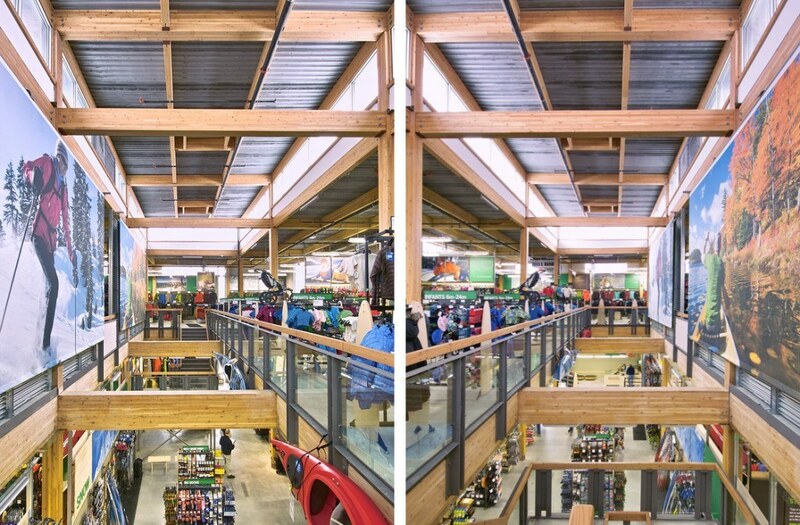 Mountain Equipment Co-op came to us for a new concept on the conventional ‘big-box’ store by going 2-storey. This client understands that the needs for certain buildings may be limited to only a few years, so why not design them to be disassembled and re-used elsewhere? We developed a kit of parts using a hybrid of prefabricated glued-laminated post-and-beam construction, concrete and steel deck floors and SIP wall panels, carefully detailed to allow for de-construction. 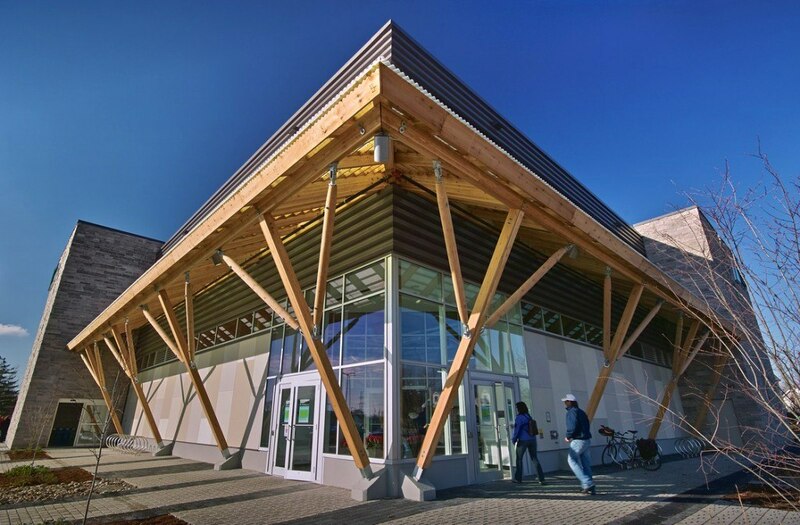 We reused natural materials such as post-industrial plywood ‘peeler core’ logs for the entry canopy. 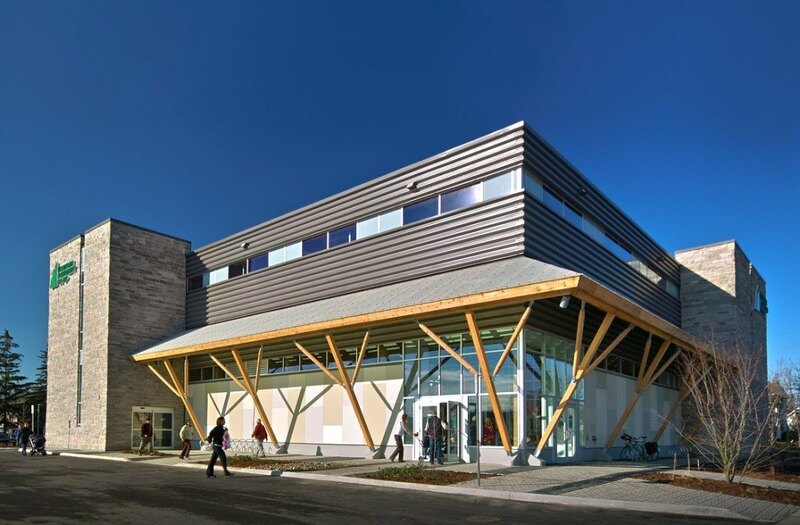 This building won a LEED Innovation Credit for our design to make it entirely disassembled and re-used in the future. David Moses was lead engineer while at Equilibrium Consulting.